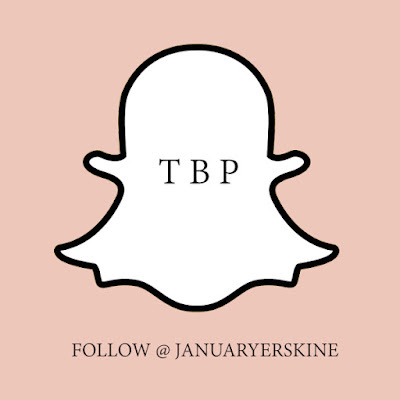 A Personal Style blog all about mixing high end, fast fashion and thrift. Florals for Spring... ground breaking. 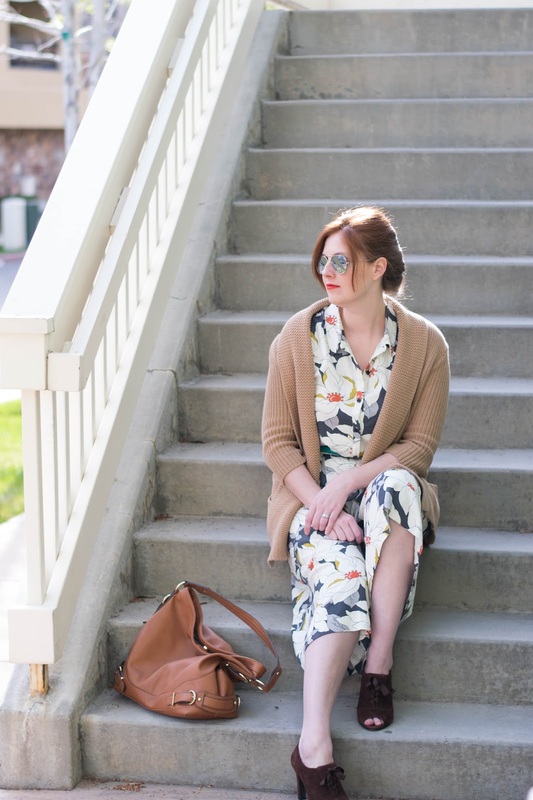 I couldn't help but purchase that Ann Taylor Jumpsuit from the Easter inspiration post a few weeks ago. I absolutely loved the colors and pattern. Boy am I glad I did. Its so light and comfortable. I even accidentally took a nap in it the first time I wore it. It came out wrinkled but shortly sorted its self out. Yes! I wanted the floral pattern to stand out so I layered a long knit cardigan over it and chose to match my accessories in the same color family. 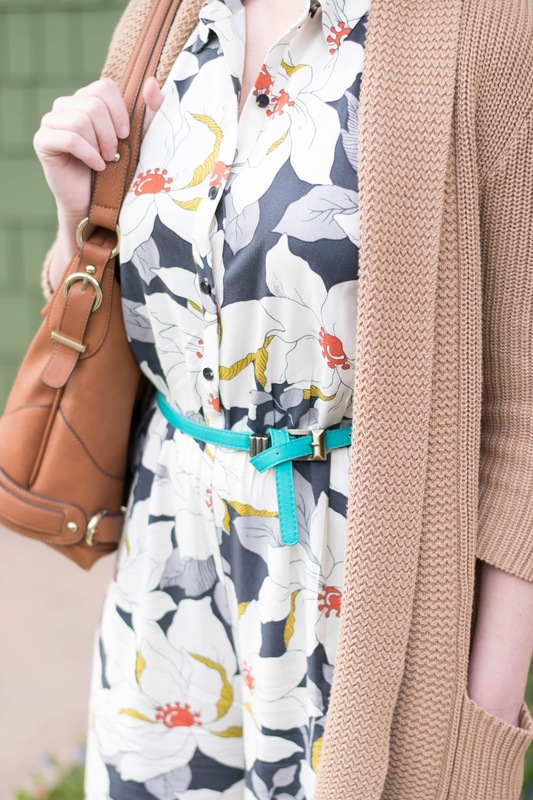 The jumpsuit comes with a long fabric tie that wraps around the waist but I love replacing those with a belt to help break up the fabric's pattern. This turquoise one was absolutely perfect. I'm so excited for this jumpsuit. Its the first I've ever added to my wardrobe and can't believe it took me this long to jump on the bandwagon. I can't wait to add a fitted blazer to it and take it for a spin at work. Its definitely getting packed in my suitcase for summer trips. 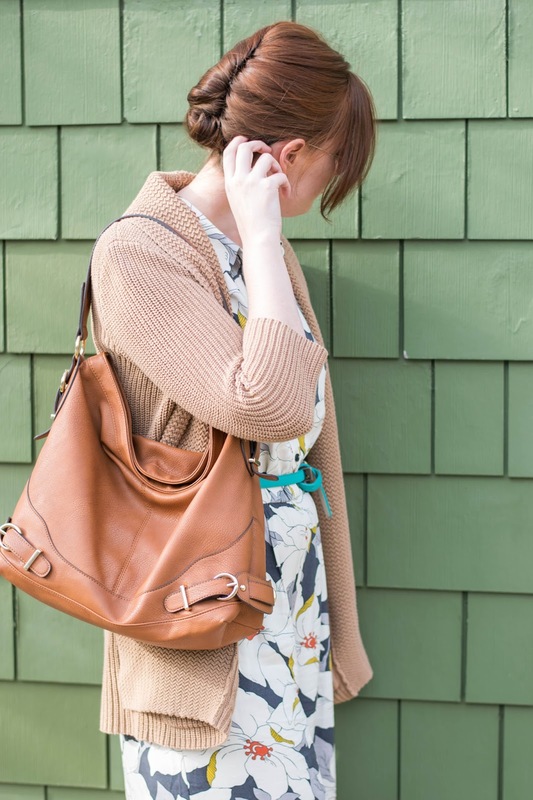 I've been so impressed with the piece and the rest of Ann Taylor's Spring line. Great style with classic lines and reasonably priced. Thats me to a tee. Below are a few of my favorite pieces from the Spring collection. This is such an adorable outfit! I also love your hair, it ties it all together! Chantal thanks! The do was a total last min save. My hair tie broke and I just happened to have bobby pins in my car. Life savers! 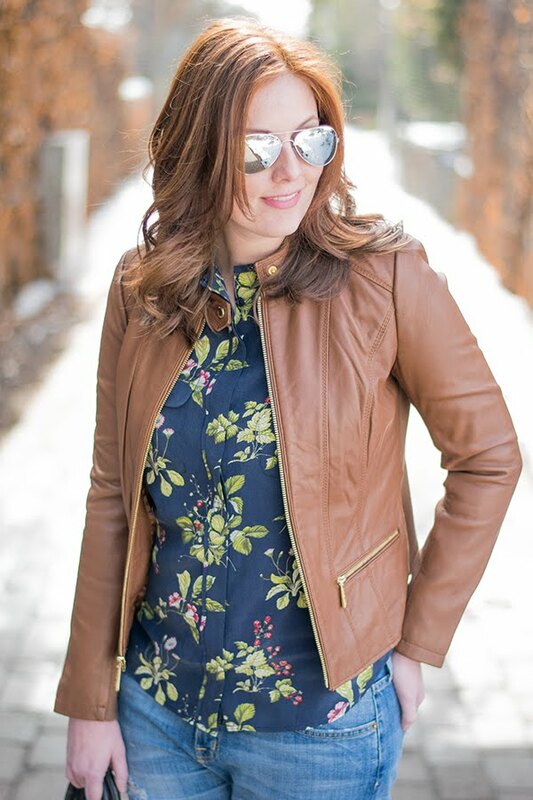 I can't say enough about your awesome spring style! I love the whole look from head to toe. The pattern of your jumpsuit evokes thoughts of happiness. And your cardigan is lovely and versatile. 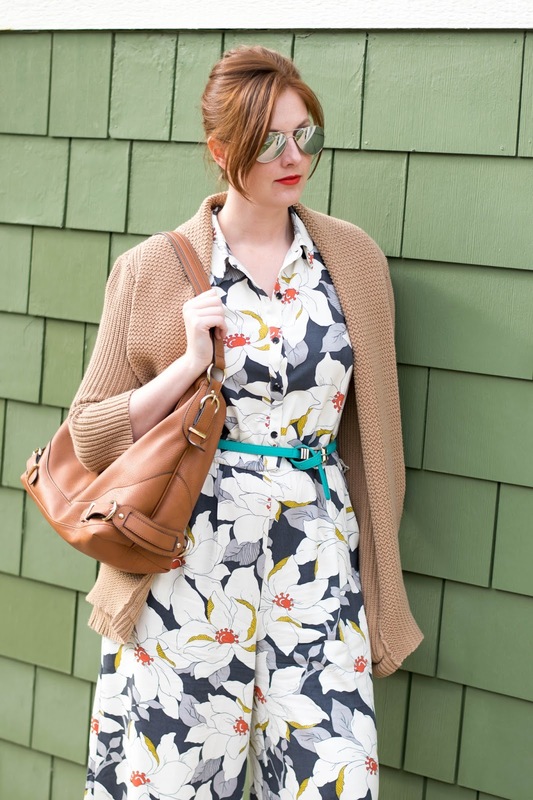 Thank you for sharing joyful inspiration for a great spring look! Oh my gosh, such a cute outfit! I love the fifties chic twist and the way the jumpsuit fools the eye into thinking its a dress! Right! That's one of the things I like most about it. It's a beautiful place, having such an open and joyous feeling to it. It's totally amazing! This is definitely a wonderful place to spend time. It's plenty fun to sit at Los Angeles venues and enjoy food and drinks with amazing conversations. © The Bouncy Ponytail | All rights reserved.